Location is prime! Grocery store across the street Washing machine in apartment. The ladies at concierge were amazingly accomodating. The staff at the breakfast were super nice and helpful. Overall great experience, perfect location and beautiful apartment. Because of the CNY we don’t hv our daily b/fast for the 1st 2 days after our arrival n also we had to miss the sun no b/fast plus no daily housekeeping for the 1st 2days. The bathroom is very badly design as not enough hanging towels to hang our wet towels. The toilet was very smelly and could be the sewage problem or generally not well cleaned. The air conditioning in the room was not good as we can’t possibly turn up n down the temperature. It maybe the thermostat problem which u are not able to adjust it properly. I think u must look at those 2 issues . We had great time here. Wonderful location in downtown, next to train station about 2 mins walk. Spacious room so my daughter can run around, convenient for family use with a big bath tab and open kitchen, staff are all friendly and helpful. Price is competitive compare with expensive hotels in SG. Everything about the property was marveoulas. I should have stayed longer than 9 days. The size of the apartment, the view and location was excellent. Great breakfast, comfy bed. Love the location, very central to all the shopping malls around as well as the different food courts as well as some nice restaurants. The facilities within were also excellent. Housekeeping was good. Front office staff can afford to smile more and does not cost the company nor them to smile and greet guests walking past rather than being glued to the computer screen. Love the location, Orchard road and public transport so easy. Housekeeping so lovely and accommodating. Nothing was too much. MRT, good food options and shopping right at your door stop. Especially close to Somerset MRT making it easy to get to everywhere you need to go. Awesome Bose sound system in bedroom and lounge. Nice welcome snacks on arrival. Housekeeping was great. Gym downstairs was fantastic used it everyday. 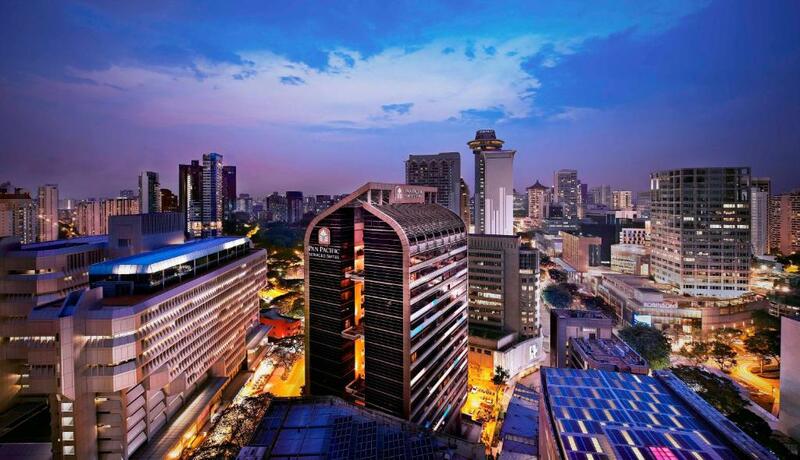 ท่านต้องการเข้าพักที่ Pan Pacific Serviced Suites Orchard, Singapore เมื่อไร? Strategically situated in the heart of the city, Pan Pacific Serviced Suites Singapore provides the perfect location when your schedule demands an extended stay in Singapore. Offering a convenient base amidst the exhilarating setting of Orchard Road, our Serviced Suites are just 10 minutes from both the Central Business District and Suntec City Singapore International Convention & Exhibition Centre. This prime location means you are never far from the action, whether they want to work, play, dine or take in a few local sights. 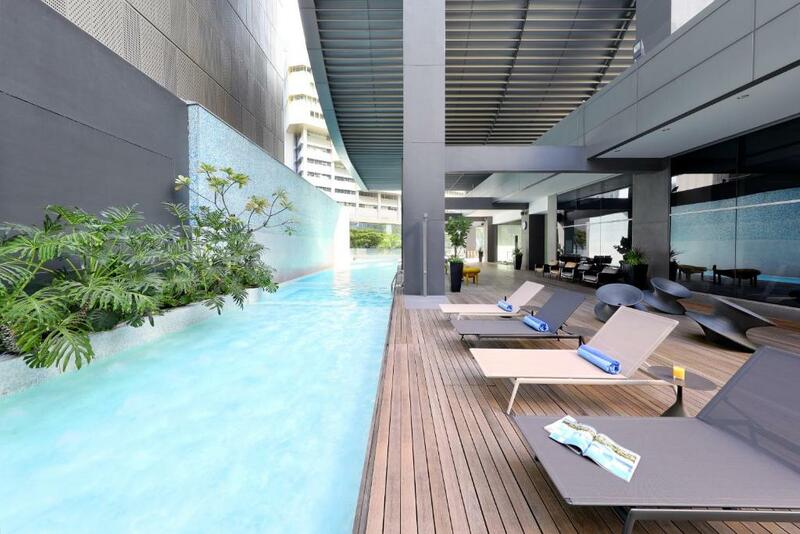 สิ่งอำนวยความสะดวกของ Pan Pacific Serviced Suites Orchard, Singapore 8.8 คะแนนสำหรับสิ่งอำนวยความสะดวกชั้นเยี่ยม!